The main objective of this faculty is to ensure all the graduates are well-trained and prepared to experience the challenges ahead. 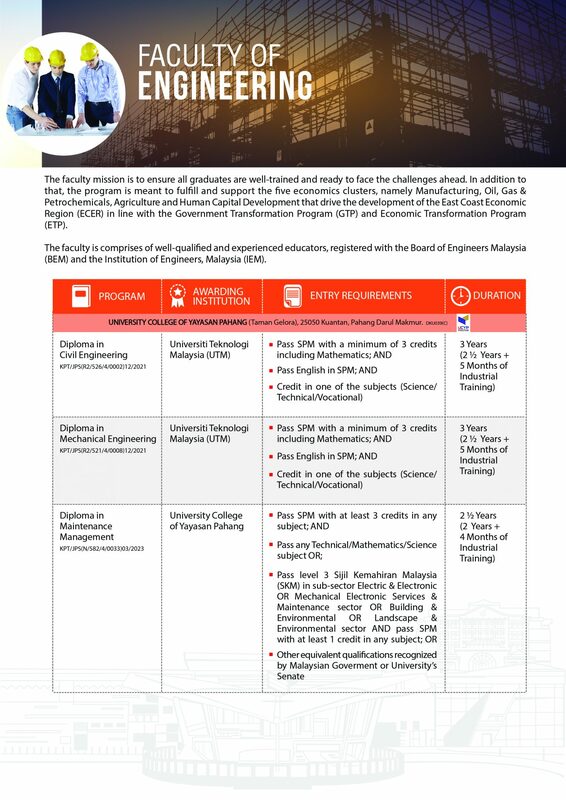 In this regard, the programmes are designed to fulfill and support the five economics clusters, namely Manufacturing Oil, Gas & Petrochemicals, Agriculture and Human Capital Development that drive the development of the East Coast Economic Region (ECER) in line with the Government Transformation Programme (GTP) and Economic Transformation Programme (ETP). The faculty consists of well-qualified and experienced educators, registered with the Board of Engineers Malaysia (BEM) and the Institution of Engineers, (IEM). Visit Lembaga Kenaf & Tembakau Negara LKTN @ Rompin.